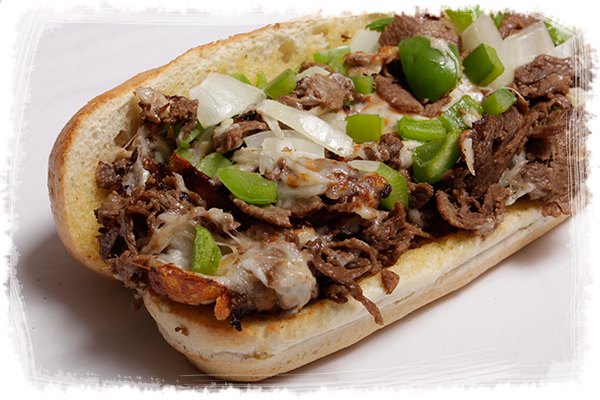 The Philly Cheesesteak Sandwich is loaded with juicy steak, savory seasonings, creamy alfredo sauce, and fresh green peppers and onions, topped with melted provolone cheese. Served steaming hot on a buttered and toasted bun. Dine-in or Take-out orders come with a 20oz drink. The Meatball Sandwich includes three massive italian meatballs, topped with a generous helping of our signature red sauce, and melted mozzarella cheese. Served steaming hot on a buttered and toasted bun.